Hi-quality items like fine art and antiques need specialty care. Packing these in the same way you pack socks or t-shirts isn’t gonna cut it. A specific process is required for each kind of these items. 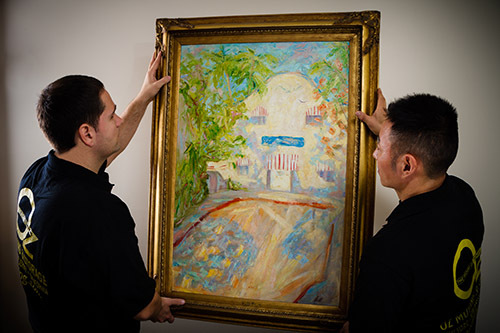 Read our tips on moving fine art, moving antiques, and assessing custom crating to determine how you will need to pack your valuable item. Moving large, bulky works of art can be tricky. With the finer pieces, attention to detail and extra care simply isn’t optional. However, with the right amount of know-how, moving wall art is generally a straightforward process. Start off by wrapping the art in Glassine, or a sort of substitute plastic wrap, to prevent any smudging on the work. After wrapping it once, wrap it again using bubble wrap to prevent dents, scratches and other visible damage marks. Finding a box for the artwork is the next part, but can be pretty difficult for some pieces. If a box remains from the original shipment or transport of the picture, and it’s still in good condition, that’s the ideal box to use for your move. If not, there are several options for art boxing, depending on the size. Smaller works can be put into TV boxes (for modern flat TVs, not a bulky tube TV’s box) which share dimensions with wall art okay. A bicycle box can be a good fit for a larger piece of art. These DIY-boxes can be modified a bit to prevent art from moving inside and potentially suffering damage. Larger pieces of wall art which won’t have boxes at suitable sizes, or other forms of art such as sculptures will likely require custom crating or boxing from a moving specialist. Oz Moving provides cardboard or wood crating for high value items like fine art or antique furniture. Wood crating is the safest way to transport an inventory to prevent it from incurring damage. Every piece of antique furniture likely has its own wrinkles that need to be accounted for in the packing process. 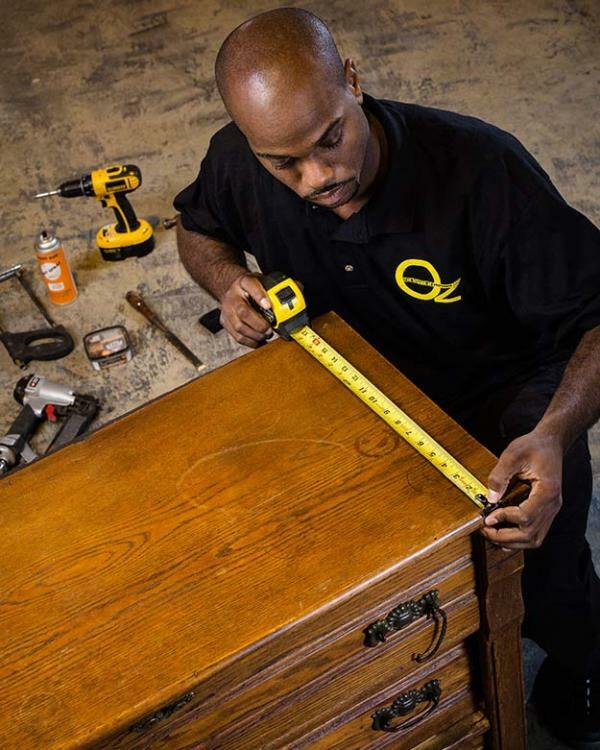 Anything parts of furniture that are partially broken will require extra care. Speaking in generalities, there are a few tips that can be taken into account. Much like in moving fine art, in moving antiques bubble wrap is your friend. Bubble wrap effectively prevents high-impact contact with other items that can cause dents or scratches. For additional protection, you can rent or purchase moving blankets or specify for their use from your moving company. Valuable antiques lose value exponentially upon damage, so extra care is likely worth the price. Loose or removable parts of furniture should be removed and transported separately. Make sure to tape an “X” onto any mirrors or other glass pieces beforehand to prevent glass shattering to turn into glass scattering. With very high value pieces of furniture, using custom crating is an excellent way to prevent damage or other misfortunes. 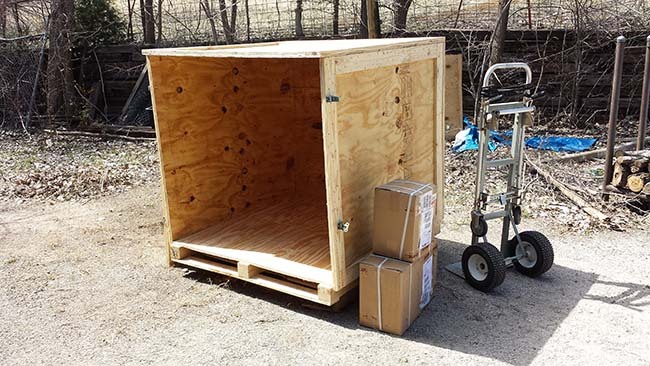 Crating is the process of building and using wooden crates (pictured above) to transport items with enhanced safety. We recommend anyone looking to use crating hire a professional mover to build a custom crate their items after an on-site appointment. If you must do this DIY (and we don’t recommend you do this), you can buy the necessarily supplies at a hardware store like plywood and 2x4s. If you’re moving with a company and having them pack your antiques, it is absolutely pivotal that they view the antiques in your inventory personally. This is known in the industry as an “on-site” appointment. Seeing items firsthand will give the moving salespeople the information they need to accurately assess what will be necessary to pack and move these antiques. Any quote without an on-site appointment when it comes to antiques is untrustworthy.